Friedrichsdorf, July 7th 2017: As at 20th February, 2017, the PharmaLex Group, a leading specialist provider of Development Consulting & Scientific Affairs, Regulatory Affairs, Pharmacovigilance as well as Quality and Compliance services, has enhanced its regulatory team with the further addition of a highly experienced biosimilar professional. Zabin (Zeb) Younes joins PharmaLex as Associate Director, Regulatory Affairs CMC. Zeb has over 15 years’ experience in the biopharmaceutical / biosimilar development lifecycle, from proof of concept through to, and beyond commercialization. This includes both laboratory and desk based experience in process development, purification, formulation, method development, characterization, validation, forced degradation, comparability, release and stability testing. Zeb’s experience is wide-ranging and includes preparing and leading the execution of numerous CMC regulatory strategies, authoring regulatory submissions including BLA / MAA / IMPD / IND / PIP / Orphan Designation Applications, as well as leading over 10 recent scientific advice packages (EMA and European national). Zeb has extensive experience with a range of monoclonal antibody (mAb) and mAb derivative biosimilars, including those for: Humira®, Avastin® and Leucentis®, Enbrel®. In addition to these molecules, Zeb has also worked on biosimilars for: Neupogen®, Neulasta®, Epo® and Clexane®. Her experience includes the development and implementation of global regulatory strategies, pre-submission activities, scientific advice and dossier writing with main focus on EU/US followed by Canada and Australia. She also has some supportive experience in preparing dossiers for Japan, India and other regions of the world. In addition, she also has over ten years of management experience and has set up and managed research teams, GMP testing laboratories and operations, developed and implemented lean systems to increase operational efficiency and have participated and led MHRA/FDA and corporate audits. Her product specialisms are Vaccines (recombinant protein adjuvented, live attenuated bacterial, viral vectors), Therapeutics (mAbs and derivatives, other recombinant proteins) and ATMP (somatic cell therapy products, tissue engineering products). Zeb holds a 1st Class BSc (Hons) in Medical Biochemistry. Zeb is based in the UK and joins PharmaLex from ERA Consulting in the UK, where she was Associate Director ERA/Acting Director ERS. “We are aware that biosimilars continue to be a key area for many biopharmaceutical companies and are continuing to strengthen our team to ensure we remain a leading service provider and Zeb comes to us with a wealth of experience” explained Dr. Thomas Dobmeyer, CEO PharmaLex. 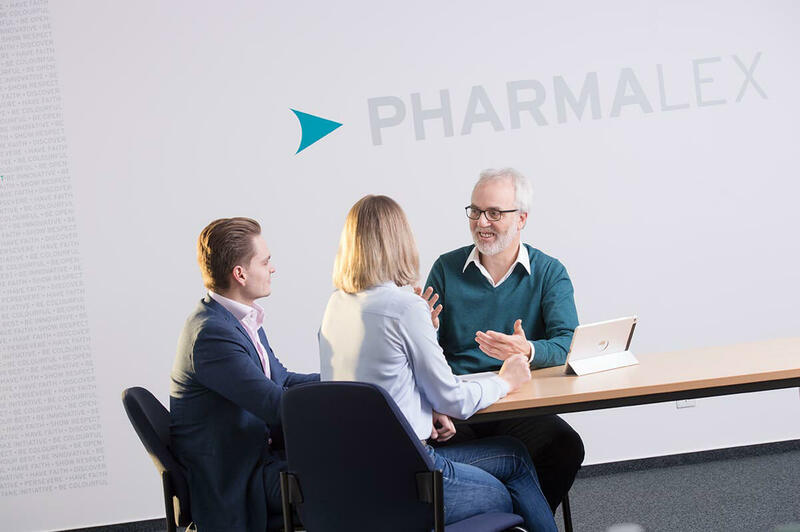 “Enhancing our service lines with experts who are at the top of their industry, is a key attraction for our clients” added Dr. Tilo Netzer, CEO PharmaLex. “It allows us to provide instant access to specialist knowledge helping clients to reduce timelines”, he explained. Since 2014 PharmaLex is part of The Biosimilar Group – 5 specialized partners, each with its solid core competence needed for biosimilar development. The Group forms one unique team to develop your biosimilar. Our experience, efficiency and flexibility will make your drug-to-market project a success. PharmaLex combines local expertise with global reach in the area of scientific services, regulatory affairs, pharmacovigilance as well as quality and compliance services. A proven track record of success in outsourcing programs with more than 30,000 successfully completed projects for over 600 clients worldwide, as well as extensive experience in all therapeutic areas and product groups, including advanced therapy medicinal products and biopharmaceuticals, medical and borderline products and alternative therapeutic approaches.